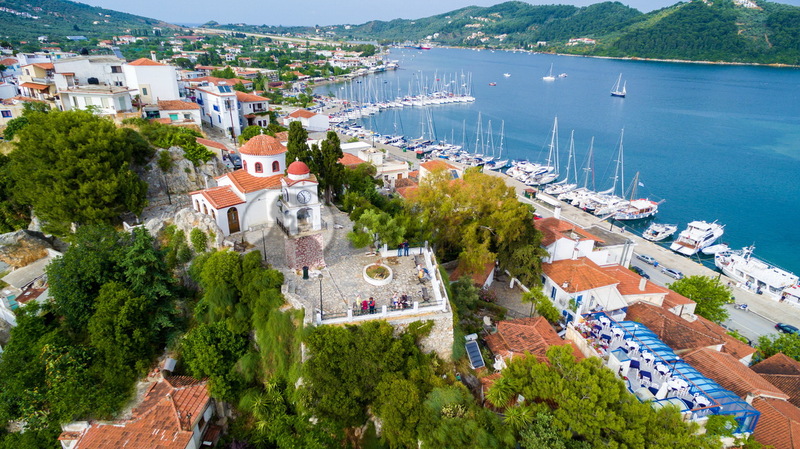 Skiathos Town is the only settlement on the island. 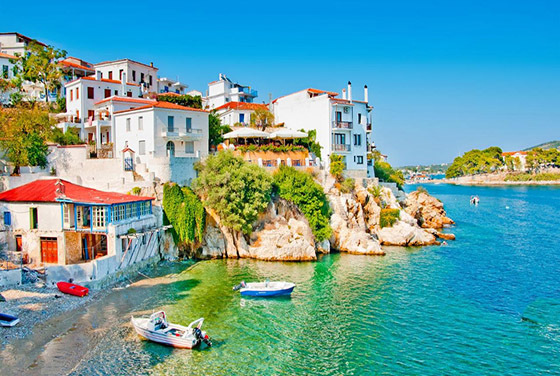 The city of Skiathos is the only built-up area of the island. It is built on the southeastern tip of the island in a windless bay which separates the island of Bourtzi in two. Maecenas sodales maximus mi sed placerat. Cras nec velit blandit, porta risus a, accumsan tellus. In hac habitasse platea dictumst. Curabitur mollis nisl sit amet pellentesque congue. Sed feugiat elit et nunc tempor eleifend. Sed ac porttitor ligula, nec efficitur justo. Nam sit amet sagittis diam, id maximus nibh. Proin consequat, nibh ut semper rhoncus, lacus tortor laoreet ante. Cras nec velit blandit, porta risus a, accumsan tellus. The island has an area of approximately 50 square kilometers and the length of its coastline exceeds the 45 kilometers. It is 41 nautical miles from the capital of Magnesia Volos and just 2.4 miles from the coast of South Pelion. The island has many old churches and monasteries. Panagia Eikonistria is the most holy site of the island since the miraculous icon of Virgin Mary (Panagia) was found here around 1650. An important intellectual figure of the island and of the Church, Dionysios the Old, was a monk in this monastery. The church of "Trion Ierarchon" (The Tree Church Fathers) which has been the cathedral of the island for 150 years leads the intellectual cultivation of the island. "I Panagia i Limnia" with the nice bell-tower rising in the whole village is the second parish church of the island. The icons from "Christos sto Kastro - Christ in the Castle" as well as Papadiamantis's head are kept here. Immersed in the greenery, deep in the Lekhounio gorge beside the springs in the place called Agalianos, under Karaphlytzanakia, the highest peak on Skiathos, stands the Holy Communal Monastery dedicated to the Annunciation of the Virgin. The Evangelistrias Monastery or Vangelistrias as it is called by the Skiathians. Construction of the monastery was started in 1794 by a group of kollyvados monks who had been forced to leave the Holy Mount of Athos in the face of disturbances resulting from disputes over the celebration of Canonical Requiem Masses. The Church of "Christos sto Kastro" was the cathedral of the medieval city. It is a basilica with a wood cut roof, built in the 17th century. It has worthwhile frescoes and a nice wood cut icon screen dated in 1695. It was built in the 18th century. The most famous beaches of the island are : Megali Ammos, Vasilias, Achladies, Kalamaki, Vromolimnos, Kolios, Agia Paraskevi, Troulos, Koukounaries, Banana, Agia Eleni, Mandraki, Aselinos, Kechria, Kastro, Lalaria, Lehouni, Xanemo. The company PAGASON yacht & sail gives you the opportunity to discover the beauties of Pelion and Pagasitikos but especially the cluster of islands, known as Sporades. 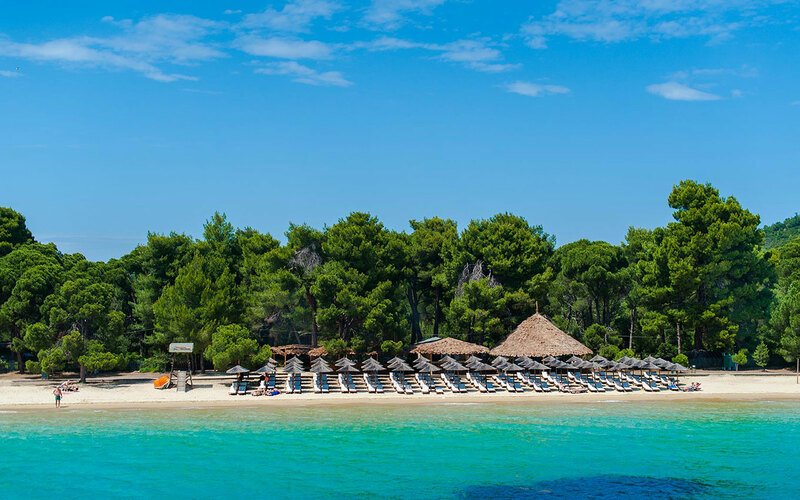 The sailing ships of the company are the ideal means to take you to the turquoise waters of Pagasitikos' island. © 2017 PAGASON yacht & sail! All Rights Reserved.